The Hot Breakfast Winter 2019 Snoozeletter! – Hot Breakfast! The Hot Breakfast Winter 2019 Snoozeletter! We just sent out our Winter 2019 Snoozeletter… and here it is! Well, friends, it’s 2019, and if you’re anything like us, that means only one thing: it ain’t 2018 anymore. And that’s fine by us. We’re not saying last year was all bad. Heck, in many ways it was awesome! We recorded some new tunes that we cannot wait to share with you. 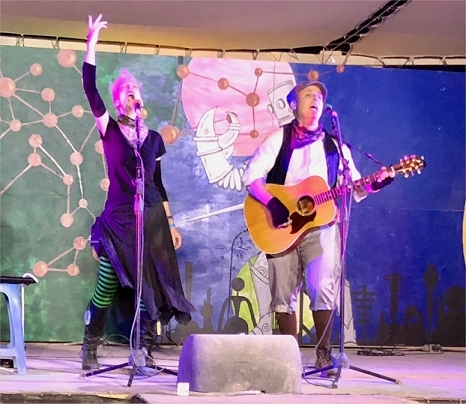 We played some super-cool shows, including many shows at Burning Man in Black Rock City, Nevada. We joined forces with The Rock Orchestra for several exciting shows, including tributes to Bruce Springsteen, The Who, and the week-long Beatlefest (an incredible event that ultimately featured over 40 musicians playing all 215 Beatles songs over six consecutive nights). And, of course, we put on Another Very Dorky Christmas, a unique and fun concert-with-a plot sequel to our 2016 show. But it’s 2019, and it’s time put away the old and get down with the new. So we’re gonna kick things off by doing what we do best: making you scroll making you laugh at us. 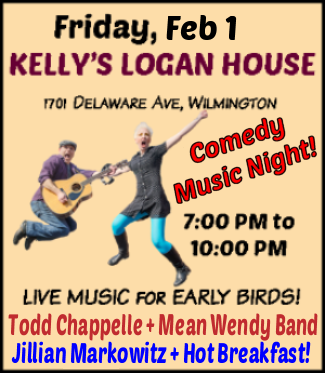 THIS FRIDAY, FEBRUARY 1, 2019, 7:00pm: COMEDY MUSIC NIGHT at Kelly’s Logan House (1701 Delaware Ave., Wilmington, DE). Featuring Jillian Markowitz, Todd Chappelle, Mean Wendy Band, and Hot Breakfast! Free show! Tables, chairs, full menu, full bar! Three musical comedy acts and one dork-rock power duo play two 20-minute sets each, round-robin style! It’s a great way to keep the night moving. You won’t want to miss this – and since it starts at 7pm and ends at 10pm, you won’t have to! Get more info at our website or use this handy Facebook Event. We’ll see you at Kelly’s Logan House! 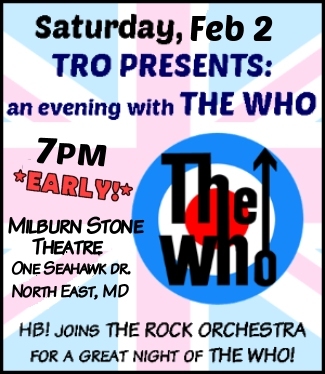 THIS SATURDAY, FEBRUARY 2nd, 7:00pm: The Rock Orchestra presents a tribute to The Who! Milburn Stone Theater, 1 Seahawk Drive, North East, MD. The Rock Orchestra‘s tribute to The Who went so well back in November that we’ve been asked to do it again. While this is not an official Hot Breakfast! gig, Jill and Matt will provide tons of backing vocals, horns, and percussion to all your favorite songs by The Who, with a few deep cuts in there, too. That’s right – Jill will be playing trumpet for real in this show! Order Tickets here. And a Facebook invite here. And more info on the Hot Breakfast! website. Again: The show starts early at 7:00PM with no opening band! 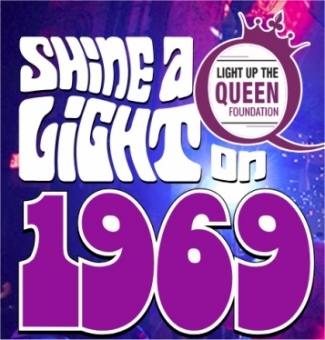 SATURDAY, MARCH 2, 8:00PM; Shine a Light on 1969! The Queen Theater, 500 Market Street, Wilmington DE. In the tiniest nutshell, Shine A Light is an annual all-star benefit concert that raises money for the Light Up The Queen Foundation, a non-profit organization that, among other things, provides arts and music programs in area schools and the greater community. We’ll be joining forces with over 50 musicians to present nearly 40 of the best dang songs of 1969. We’re contributing background vocals to a bunch of tunes, and Matt will be joining the horn section on bari sax, too. Wait until you hear the song list– it’s absolutely incredible; and we’re giddy over getting to make music with people whose names and talents we’ve revered from afar for so long. Purchase tickets here, see the Facebook Event here, and get more info on our website. Our dear pals The Honey Badgers are releasing their new album on Friday, March 15th at I Am Art, a lovely gallery in Wilmington that serves as a venue for all kinds of art – including musical and spoken-word performances. And we are so excited and honored to announce we’ll be opening up their show! The details are still coming in, but it’s a fairly small venue so you’ll want to get your tickets as soon as they go on sale. Keep your eye on their Facebook Page or Our Website for more info. We’re adding more shows all the time, so please keep your eyes on our Website and/or Google Calendar for the latest show info. Saturday, March 2, 2019, 8:00pm: Chase Presents: SHINE A LIGHT on 1969. The Queen Theater (501 N. Market Street, Wilmington, 19801). 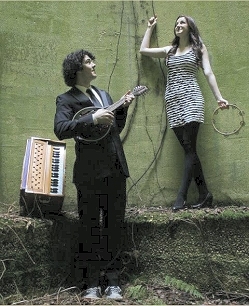 The Light Up the Queen Foundation’s 8th annual Shine A Light® Fundraiser is a musical spectacle that features over 50 local musicians – and this year, for the first time, the roster includes Jill and Matt! The annual extravaganza is always an incredible musical event, and this year, we’ll be performing songs from 1969. And it’s all for one great cause: The Light Up The Queen Foundation, a non-profit dedicated to ensuring Music education is preserved in our community. We won’t be playing as Hot Breakfast!, and we won’t be singing lead – hey, it’s our first year, and we freshmen gotta pay our dues! But you’ll be able to catch us singing background vocals on a lot of songs, and horns on others – and you’ll have the chance to see a jaw-dropping all-star lineup of absolutely outstanding musicians. We are genuinely honored to be a part of it. Doors open at 7:00 pm, unless you have VIP tickets which get you in at 6pm. This show is all ages. You can get more information about The Light Up the Queen Foundation and get tickets (including VIP tickets!) at the Light Up the Queen page, or check out the Facebook page and a bit about how we got involved on our website. Did y ou know that Matt is in a Ramones tribute band? We know, it sounds like the start of a joke. But it’s real! The band, 53rd & 3rd, has been working incredibly hard, and they’re excited for their first gig at Bar XIII (1706 Philadelphia Pike, Wilmington) in North Wilmington, Delaware on Friday, March 1st at 9:00pm. 53rd & 3rd features Matt on lead vocals, our buddy Randy America (Jake & the Stiffs, Mr. Jinx) on guitar, Wayne Gladysz (Scorpio) on bass & vocals, and John Vouras (Daddy Says So) on drums. Don’t miss their debut at Bar XIII with The Ancient Mariners & Scorpio! It’s gonna a night of great rock n’ roll bands covering great rock n’ roll bands – Scorpio is a female-fronted Scorpions tribute, and The Ancient Mariners plays the music of Iron Maiden! 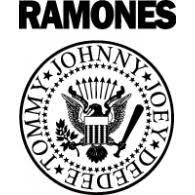 With 53rd & 3rd playing Ramones music, you’ll be in rock n’ roll heaven. And that draws another Snoozeletter to a close, folks. Ya done good! WANT TO HELP SPREAD THE HOT BREAKFAST! LOVE? Like us on Facebook. Promoters/booking agents gauge a band’s popularity (perhaps unfairly) on how many “likes” a band has, so if you haven’t done so already, please give us a “Like” and encourage your pals to do so as well. That’s a big help! Go to facebook.com/HotBreakfastRocks. Follow us on Twitter: We’re @hotbreakfast. We’re also @hotbreakfast on Instagram. Do you know someone who works in radio, for a newspaper or magazine, or writes for a music-related website or blog? We’d love to send them a CD for them to play and/or review. Can you put us in touch? 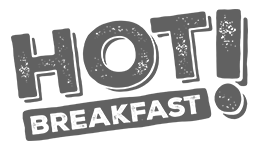 Forward this newsletter to a friend, or ask them to sign up for the mailing list. Consider hosting a house concert. We’ll come to your house and play for you and your pals…it’s a blast, and waaaay easier and less expensive than you think! Email us here at awesomesauce@hot-breakfast.com and we’ll walk you through it. If you’re on ReverbNation, become a fan! If you’re on Soundcloud, follow us! If you’re on Bandcamp, follow us! Come to a show, and bring a friend. Tell the bartender / manager / host(ess) that you’re there to see us — that helps us get invited back. If you already have a copy of 39 Summers, please consider giving it an honest online review at iTunes and/or Amazon.com. If you already have a copy of The Big Reveal, please consider giving it an honest online review at iTunes and/or Amazon.com. Request Hot Breakfast! on your favorite radio station! We’ve sent our music to WSTW, WXPN, WMMR, Radio 104.5, and lots of online stations, including Little Steven’s Underground Garage, WOSRadio and Rocker’s Dive. If you know of any venues where you think we’d be welcome, please let us know! Email us here at awesomesauce@hot-breakfast.com with the name and location of the venue… and if you happen to know someone there, their name and contact info would be extra helpful. Thank you again, so sincerely, for being a Compadre of ROCK. We are so grateful to you for your support, your kindness, and your enthusiastic fist-pumps. We really, really love you. And if you’re cold and have no idea how to stay warm during this polar vortex, might I suggest you buy this electric blanket, because I am sitting under it right now and it is magical. Right now it is three degrees out. THREE. Y’know what? If you’re only gonna give me three degrees, I don’t even want them. Just keep them. That’s like ordering a side of corn and getting three niblets. Sorry. That’s not corn. It’s corns, and corns are not worth my time. I won’t even bother lifting my fork for three corns. And three degrees are the same way. Phooey.